It is a known fact that there is no workplace without hazards and their associated risks. So delivering an effective control of health and safety risks is an important decision for any business operating in the United Arab Emirates (UAE) To ensure that the workplace is a safe place for all. In the absence of a dedicated health and safety manager then the presence of a suitably trained Supervisor with HSE knowledge is of vital importantance to any workplace in implementing the effective control of all safety issues with the aim of reducing risk to as low as reasonably practicable. 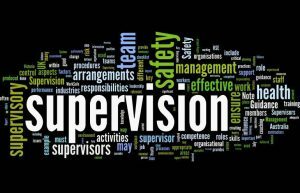 The role of a Supervisor cannot be overemphasised as he/she acts as a coach, helping or guiding workers to become and remain competent in their specific areas to ensure compliance and efficiency. Their regular contact with other employees provides a strong platform for ensuring that everyone knows how to work safely, without risk to their health, as well as in compliance with the organisation’s rules. In the UAE, the role of a Supervisor in managing and reducing workplace hazard includes the routine inspection of workplaces and directing employees to ensure that people, assets and properties are kept safe at all times. The importance of health and safety knowledge for Supervisors is not limited to any specific industry as they are one of the main lifebloods of all organisations such as; food service providers, hospital staff, workers within schools, malls, manufacturing companies, construction companies, etc. As an example, ensuring the health of employees and customers in food service facilities is the primary responsibility of a Food Assurance Supervisor. In order to avoid the risk of food poisoning, the Supervisor daily oversees the production of food, ensuring that HACCP principles are strictly adhered to with the ultimate goal of preventing food safety issues. Also, in construction industries Supervisors are often tasked with health and safety duties and are required to regularly visit work sites where they are expected to apply safety policies and also enforce local rules as well as establish more effective procedures. Act as internal health and safety consultants, providing HSE consultancy services to the entire workforce. Be conversant with the company’s HSE policies, departmental and job-specific rules and regulations. Ensure that new employees and visitors receive suitable HSE induction, HSE training, and necessary information on emergency procedures. Ensure the necessary risk assessments are done and that relevant safety documentation is readily available for reference. Schedule for HSE courses and ensure all employees receive HSE trainings appropriate to their job needs and that adequate safety considerations are integrated into other operational trainings. Properly document all HSE trainings given to individuals with respect to the established HSE training plan and matrix. Ensure provision of safe work environment and proper maintainance of equipment as and when due. Identify and correct hazardous conditions observed in the workplace. Investigate accidents or incidents and revise risk assessments, where necessary. Ensure healthy workforce by making sure that relevant employees are duly registered with the company’s approved Occupational Health Service provider, and also monitor the periodic medical renewal certificates of all employees. Monitor compliance with the use of the personal protective equipment, oversee risk assessments, and enforce the control measures. This is all too often far too much additional work for the already very busy Supervisor, which is where external HSE training companies and external HSE consultancy companies may be brought in to help. These external health and safety companies may be able to train staff, write policies and procedures to international or local standards such as Dubai Municipality or OSHAD. ISO45001/ OHSAS18001. 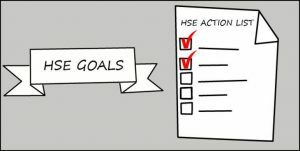 Compile HSE legal registers, risk assessments and safety plans. In difficult financial times when headcount is at a premium employing an external company for a short, medium or long term outsource piece to support the Supervisor is what many companies are finding as a way forward.